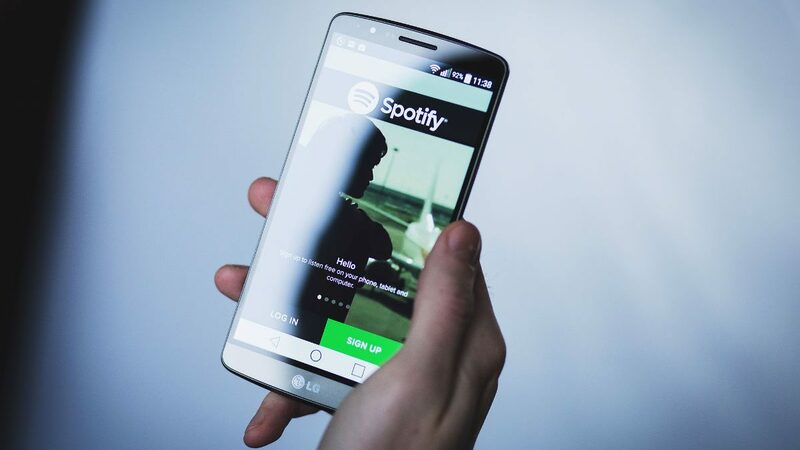 Despite writing earlier this week about compact discs’ waning popularity, there’s some good news to report in the US music industry. The Record Industry Association of America (RIAA) reports that in 2017, music revenue grew from $7.5 billion in 2016 to $8.7 billion in 2017. 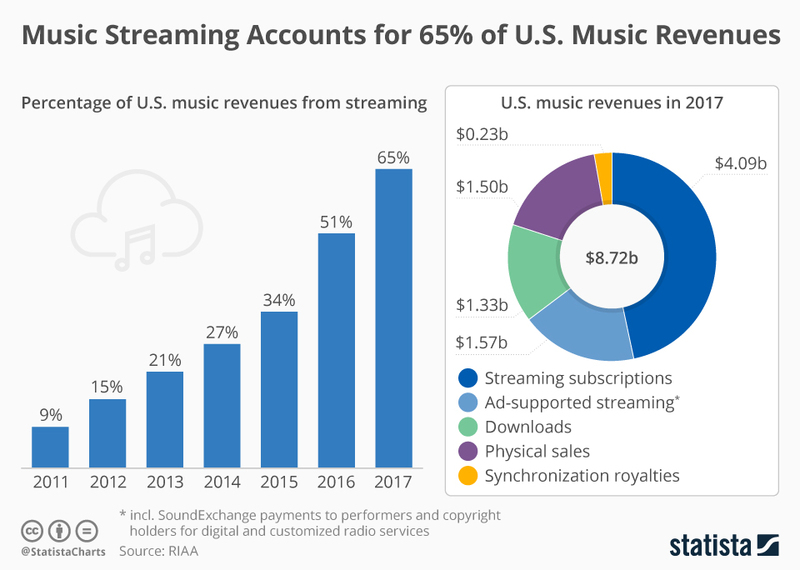 Much of that revenue comes from streaming, which since 2016 has made up the majority of US music revenue. For 2017, the percentage has jumped to 65%, thanks to a mix of paid and free ad-supported streaming. The infographic below describes current and recent music industry revenue figures. Despite the RIAA throwing a fit over Spotify’s free tier, streaming subscriptions actually outpace ad-supported streaming. Admittedly, paying for Spotify to get rid of ads makes it less annoying to use. That’s especially so on mobile devices. At the free tier, Spotify’s mobile app doesn’t offer the same level of features as the desktop version. Note as well how much streaming’s percentage of industry revenue’s grown. Five years ago, it barely made up one-fifth of revenue, and even that was a big jump from 9% in 2011. As for the non-streaming side of things, oddly physical sales are slightly bigger than that of downloads. While CD sales continue to crater, download sales are also dropping. Statista notes the number and dollar value of digital single downloads are at their lowest points since 2006. Of course, that’s the final year before the iPhone came out and changed everything. I suppose streaming offers more convenience over buying digital singles and albums. Paying $10 a month gains one access to millions of songs that’re all in a convenient app, versus managing MP3s on one’s computer or in iTunes. Of course, buying digital downloads (or actual CDs) offer ownership benefits: they’re yours forever, don’t vanish if you can’t or won’t pay for a streaming service, and you can easily resell or give away CDs. Next Post:Should we delete our Facebook accounts? What’re the alternatives?